Cockroach Control Mount pleasant » Tel: 0828105617 » Port Elizabeth The Port Elizabeth Pest Control Experts! "I was very impressed by the quality of the wood borer inspection Jason did. We will definitely be using you for all our pest control needs in future. Thank you." "Jason did a great job last night. I went out to check the bees nest this morning, and true to his word, not a sigle bee in sight. The price was also very good. I will use you again if I ever need pest control in future. Thank you." "I just wanted to thank you for the speedy response to my recent request for a beetle free certificate. Your man came round the same day and issued the certficate on the spot after he had done the inspection. Very professional service. Thank you"
We aim to respond to all queries within 15mins. Hello and welcome to the Mount pleasant Cockroach control specialists page. We deal with any cockroach infestation fast and effectively ensuring guaranteed results. If you reside in or around Mount pleasant, Mount pleasant Pest Control should be your first port of call when it comes to German cockroaches, American cockroaches or any pest and non-pest cockroaches. With many years of experience in dealing with cockroach infestations in Mount pleasant, our trained and experienced technicians here at Mount pleasant Pest Control will treat your infestation uniquely to ensure guaranteed results. German cockroach adults range from 1,3cm - 1,6cm in size and are mostly found in refrigeration motors, under kitchen sinks and in ovens. German Cockroaches are mostly active at night although in high infestations they can be found wondering your Mount pleasant kitchen during the day. German cockroaches are omnivorous mainly feeding on starchy sugary foods as well as grease from meats found in stoves and ovens. 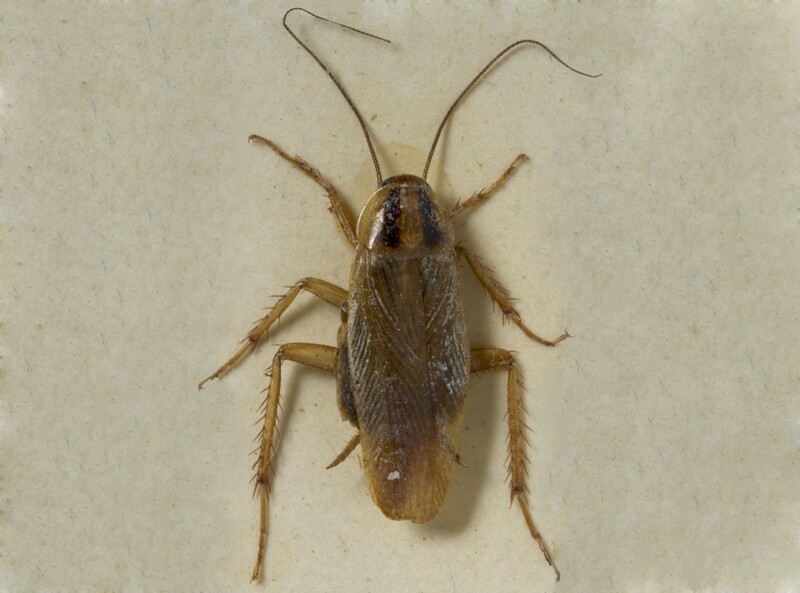 American cockroaches adults are about 4cm long and found mainly in kitchen cupboards, drains or in moist dark basements in and around your Mount pleasant home. American cockroaches are mostly also only active at night. If you have a cockroach control problem or any pest control problem in or around Mount pleasant call Mount pleasant Pest Control for all your cockroach control needs. Our friendly Mount pleasant staff are available to tale your call 24 hours a day.